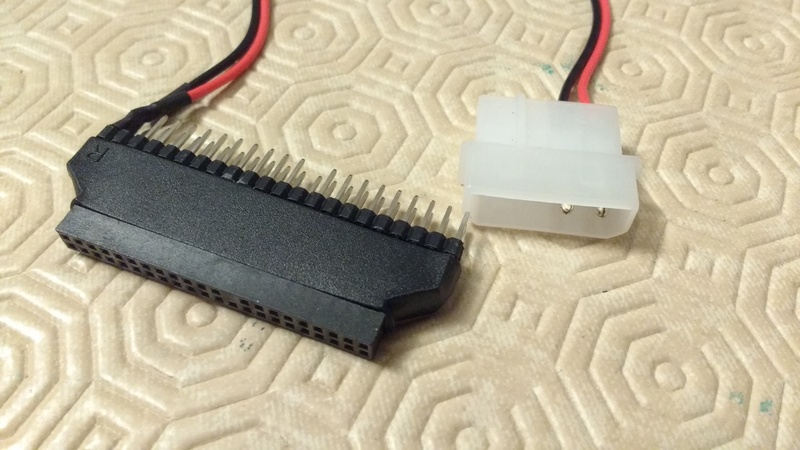 CF adapters compatible with 8 bit mode | Enide! On this page I present 3 IDE compatible devices with 8 but mode support that may be used together with a XT-CF IDE adapter card. 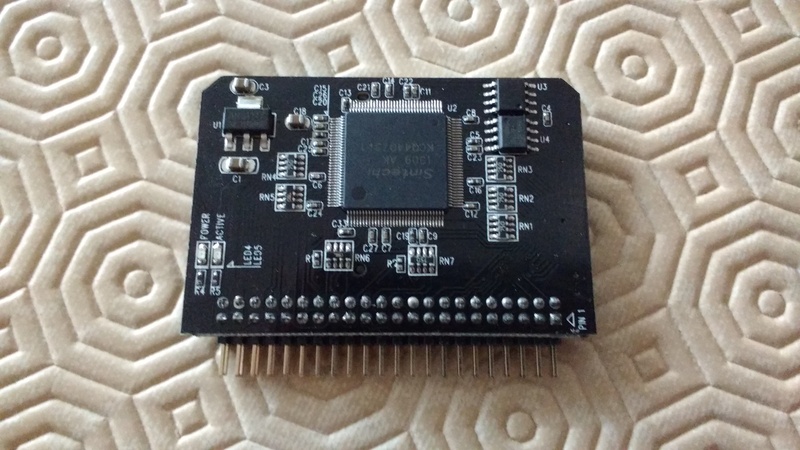 The XT-CF adapter card is a small IDE ISA adapter card to use in XT class machines but it also works with AT class machines provided that they have a free ISA slot. 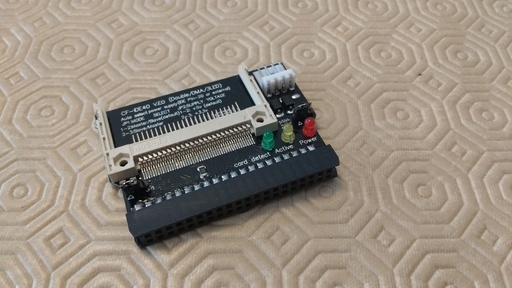 XT-CF provides an IDE connector to use with Compact Flash (CF) cards in 8 bit mode or IDE hard drives that support 8 bit transfer mode. 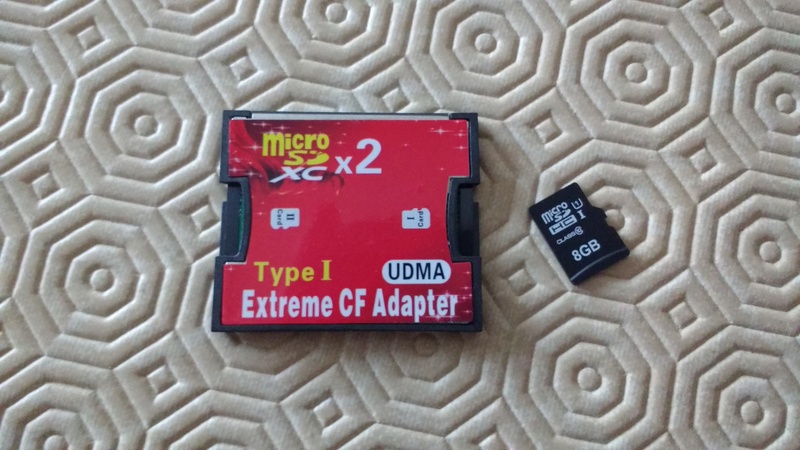 The XT-CF was designed to be used together with Compact Flash cards. A true CF card should implement the 8 bit transfer mode as it's part of its specification, unless they are counterfeit. 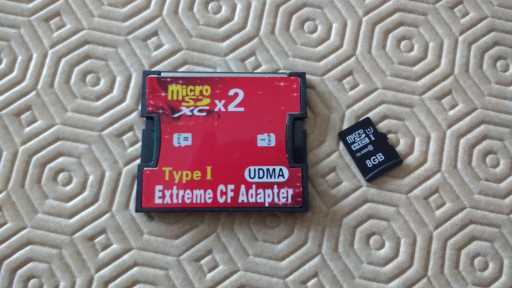 I bought a 1GB CF card from a known online chinese seller and tested it with h2testw 1.4. It successfully passed the test and has been working fine in the Olivetti PC1 for several months. 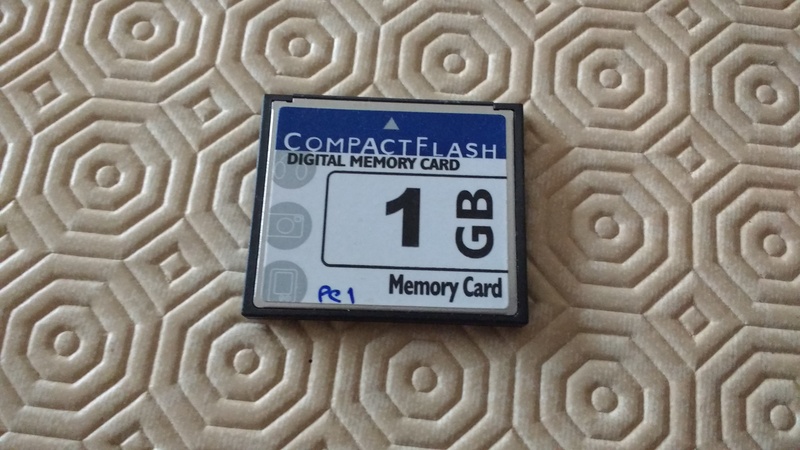 This is a type 1 CF adapter card that has two SDHC card slots on its sides and works in 8 bit mode. 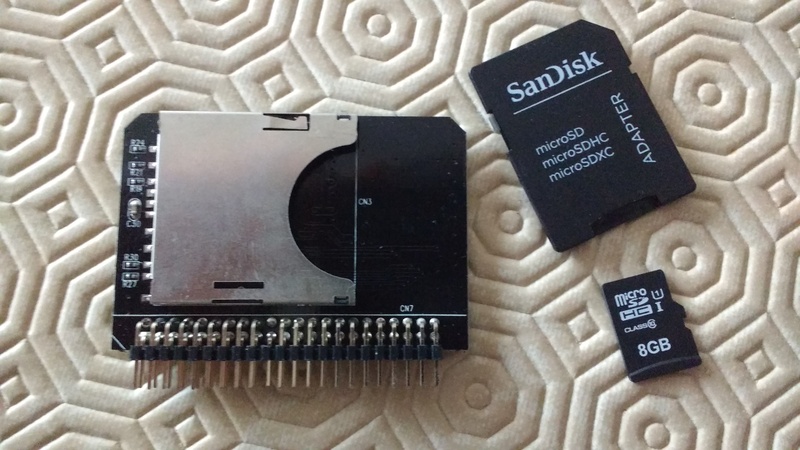 It supports SDHC cards up to 32GB each and the total space reported is the sum of both cards. 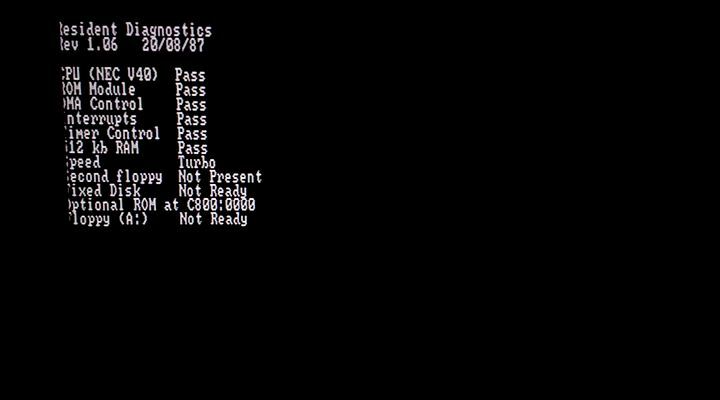 It identifies itself as "SD to CF FC1307" and boots perfectly on the Olivetti PC1 with the XT-CF card. This adapter was originally bought to replace a 2.5" IDE drive on a laptop computer. It's quite fast when used on an IDE controller supporting UDMA133 with a good and fast SDHC card. It was actually faster than the original 60GB disk it was replacing. I decided to connect it to the XT-CF because I noticed it contains a FC1309 controller chip which is very similar to the FC1306T known to support 8 bit transfer mode and it worked perfectly. 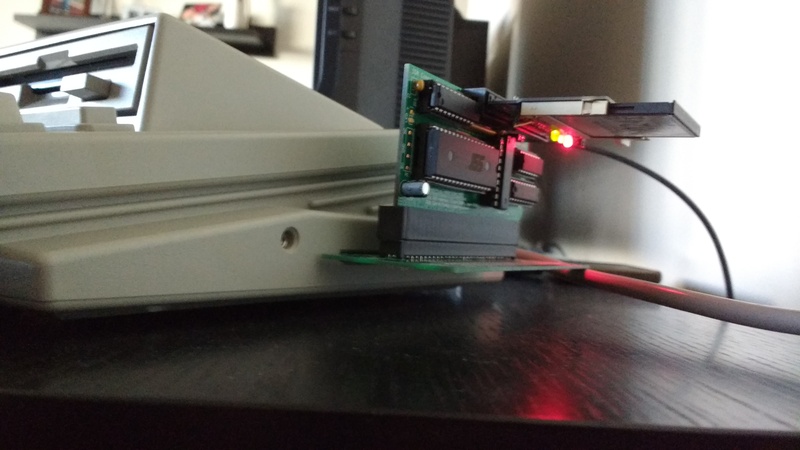 Of course I had to use a 40 to 44 pin adapter to route 5V from pin 20 on the XT-CF card to the extra 4 pins on the 44 pin adapter and a 40 pin IDE cable, see below.